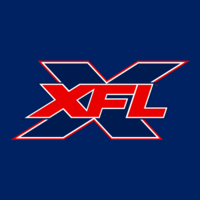 Forum for XFL fans to discuss the Alliance of American Football. Some people wanted the XFL to go to B-Ham but they didn't fare well there last time so I thought it would be a bad idea to go there again. Remember, this is the Iron's opener. What will the picture be 3-4 weeks from now? This game right now is a sleeper. So far we've got a 40-6 blowout, a 9-0 slugfest, and a surprisingly good 15-6 game. 33% is good in baseball, but not when it comes to a percentage of watchable sports games. I wonder what the attendance will come back for the Iron-Express game and the Arizona-Salt Lake game? I assume lower than yesterday's attendance. The AAF was smart to nationally televise the higher-attending games so that the perception of them would be better. Finally some scoring, but it's all B-Ham. 26-0 now and the game is really boring... The Express and Legends are definitely going to end up being some of the worst teams in the AAF. I enjoyed the first game, was nice knowing ya! Welp, no more watching for me this year. I was excited yesterday and now I couldn't care less about this league. Meh! There I was hoping to enjoy this new league. Oh well, that was short lived. Thanks for killing the Birmingham market today. You've lost a fan already. Excellent strategy by @TheAAF and @CBS. Judging from the comment section here, lousy way to grow your audience for a start up league. ...Lost the 5 people (assume he means his family) that came over to see the new league. Fail. Grow your fanbase by putting your games on broadcast TV. And there's plenty more comments like these that it would take forever to compile. In short, when people were saying;"Why is the XFL going to big markets?" they failed to realize that the TV deal is a huge part of the league. In XFL 2020, there will be opportunities to watch games on broadcast TV every week. This is a huge inside track for the XFL in the fight for spring football. The sad part is the AAF had a pretty good product going in that Commanders-Fleet game. Good national broadcast, great fan environment, sloppy play but there were still some great plays (that hit on the Fleet QB) and the refs kept the flags in their pockets for the most part. Unfortunately the lack of an extensive broadcast TV deal leaves an uphill battle for the AAF. Meanwhile, the XFL's path to success in 2020 remains a good possibility. The announced attendance for Sunday’s Express-Iron game was 17,039. Their ratings yesterday were reportedly pretty strong, but then, so was week 1 of the 2001 season. Interesting how attendance could factor into the league's success. I would say "tv revenue is what counts the most" but that seems contrary to the AAF's approach; shunning the big TV markets in favor of targeting smaller, football-starved markets. Lackluster attendance probably isn't cause for alarm just yet as long as TV ratings are solid. Of course, that could be a problem next year when seven of the biggest TV markets in the country will all have their own teams in another league they can watch.